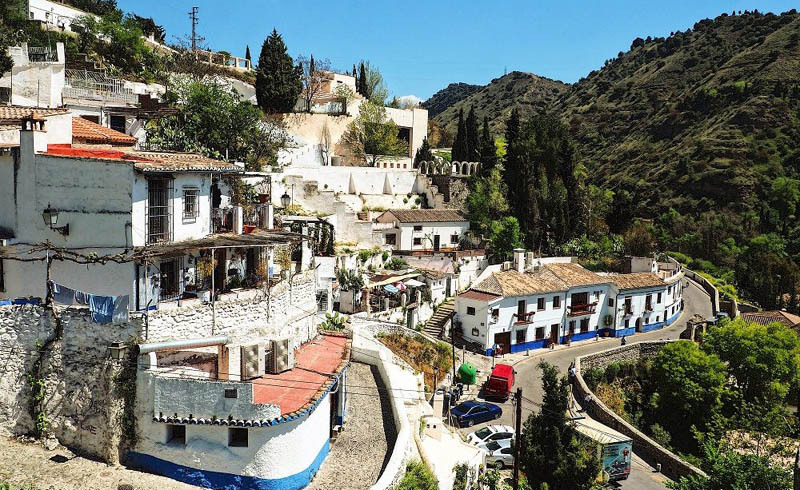 When my travel dreams drift off to Spain, they often include visions of Andalucía, the southern part of the country that feels so quintessentially Spanish. With a string of whitewashed hill towns, sunny skies, vibrant festivals and tempting tapas, Andalucía is the soul of Spain — almost stereotypically so. 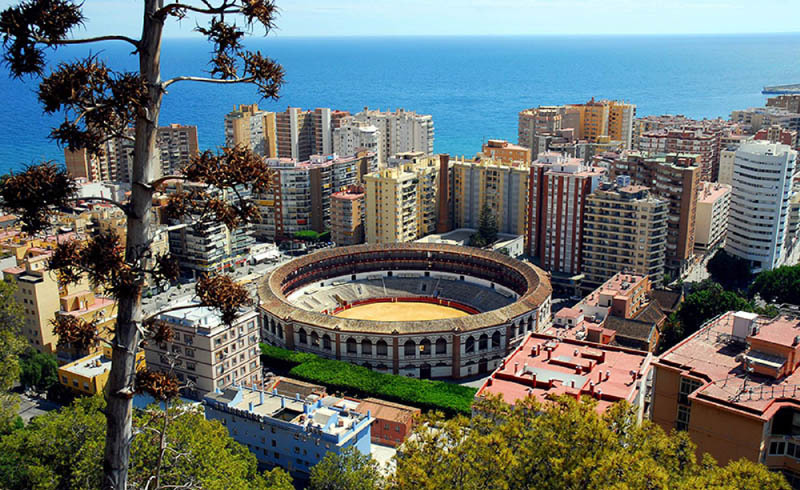 Most tourists hit Andalucía’s three great cities — Granada, Córdoba and Sevilla — or the Costa del Sol. But for something more authentic, I like exploring the region’s interior along the Route of the White Hill Towns (Ruta de los Pueblos Blanchos). This charm bracelet of cute villages perched in the Sierras gives you wonderfully untouched Spanish culture, where middle-size towns are more accessible and friendlier. Whether crouching in a ravine or perched atop a hill, each town — painted white to stay cool in scorching summers — has a personality and a story of its own. The romantic queen of the towns is Arcos de la Frontera, a photographer’s feast. Arcos smothers its hilltop, tumbling down its back like the train of a wedding dress. The fairy-tale old center is a labyrinthine wonderland, where you can viewpoint-hop all the way through town and feel the wind funnel through the narrow streets as cars inch around tight corners. Around town, I Iike to peek discreetly into private patios. These wonderful, cool-tiled courtyards, filled with plants, pools and happy family activities, are typical of the region. Arcos’ main church — and the town’s name (de la Frontera means “on the frontier”) — are reminders of the Reconquista, the centuries-long fight to take Spain back from the Muslim Moors. After Christian forces retook Arcos, the mosque was demolished, and a church was built on its ruins. Today, these hill towns — no longer strategic — are just passing time peacefully. From Arcos, a short drive takes you to Ronda. With nearly 35,000 people, it’s the most substantial and entertaining home base on the route. Ronda’s main attractions are its gorge-spanning bridges, an intriguing old town, and one of the oldest bullrings in Spain — built in 1785. The arena’s columns corral the action, creating a kind of Neoclassical theater. But the real joy lies in exploring Ronda’s back streets and taking in its beautiful balconies, wispy gardens and panoramic views. Walking the streets, you feel a strong local pride and a community where everyone seems to know everyone. Ronda’s breathtaking perch above a deep gorge, while visually dramatic today, was practical and vital when it was built. For the Moors, it provided a tough bastion, one of the last to be conquered by the Spaniards in 1485. The ravine divides Ronda into its old Moorish town and the relatively modern new town, which was built after the re-conquest. The two towns were connected by a bridge in the late 1700s. The dramatic road linking Arcos and Ronda cuts through the Sierra de Grazalema Natural Park, famed throughout Spain for its lush and rugged mountain scenery. Within the park lie the towns of Zahara de la Sierra and Grazalema. While Grazalema is a better overnight stop, Zahara is a delight for those who want to hear only the sounds of the wind, birds and elderly footsteps on ancient cobbles. Grazalema is another postcard-pretty town, offering a royal balcony for a memorable picnic, a square where you can watch old-timers playing cards and plenty of quiet, whitewashed streets to explore. Shops sell the town’s beautiful handmade wool blankets and good-quality leather items from nearby Ubrique. While the Sierra de Grazalema Natural Park is known as the rainiest place in Spain, the clouds seem to wring themselves out before they reach the town — I’ve only ever had blue skies. In any of these towns, evening is prime time. The promenade begins as everyone gravitates to the central square. The spotless streets are polished nightly by the feet of families licking ice cream. The whole town strolls — it’s like “cruising” without cars. Buy an ice cream, join the parade and soak up the essence of Spanish life.